The Wyoming Survey & Analysis Center at the University of Wyoming seeks to provide clear, accurate, and useful information to decision-makers through applied social research, scientific polling, information technology services, and rigorous program evaluation. 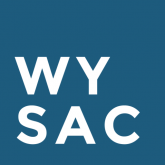 Without bias and with the highest standards of validity, WYSAC collects, manages, analyzes, and reports data through research contracts for the public and private sector in Wyoming and throughout the nation. Evaluation Research conducts evaluation studies to inform funding decisions and policy making, especially in the areas of criminal justice, public health, substance abuse prevention, and education. Our evaluation team includes researchers in our Health & Education Studies and Criminal Justice teams. These researchers assist with the collection of original data, the compilation of administrative records, statistical analysis, interpretation of findings, report writing, needs assessments, as well as grant applications and project management. Survey Research provides assistance on research design, data collection, data analysis, and interpretation of statistical results. Survey Research assists with writing questionnaires, scientific sampling, pre-testing of survey instruments, survey administration, data entry, data analysis, and presentation of findings. WYSAC survey researchers are experienced with all modes of survey data collection, with particular expertise on topics related to public health and environmental studies. Information Technology specializes in developing web applications and software solutions for data entry systems, case management, and database design. Information Technology is experience in tech project management, systems analysis and modeling, database programming, .NET-based software development, open-source web technologies and user-centered graphic design. IT maintains reliable and secure environments to support all WYSAC and client operations. University of Wyoming offices, faculty researchers, and student organizations. Our mission is to collect, manage, and analyze data to provide information of the highest quality. We aim to help improve people’s lives through applied social science research, program evaluation, survey design and administration, and information technology. WYSAC is an objective, nonpartisan research organization, committed to the highest professional ethics. All WYSAC research involving human subjects is reviewed by the University of Wyoming’s Institutional Review Board, ensuring protections for research participants. The IRB satisfies all federal regulations and policies and adheres to HIPAA guidelines. WYSAC also endorses and supports the University of Wyoming’s Code of Ethical Conduct, the code of ethics of the American Association for Public Opinion Research, and the guiding principles of the American Evaluation Association. WYSAC is a member of n the Justice Research and Statistics Association and a charter member of the Association of Academic Survey Research Organizations. Our researchers hold individual memberships in various professional organizations. Our relationship with the University of Wyoming is integral to every project we manage and conduct. WYSAC is a department under the Office of Research and Economic Development, a unit dedicated to swift, accurate, and expert service that enhances the research missions of organizations across campus. As a member of the broader UW community, we have access to a wealth of resources and experts. These resources include accounting and business expertise and systems, an extensive library system, knowledgeable faculty in a wide-range of research areas, and more. WYSAC traces its origins to 1972, when the Government Research Bureau conducted the first in what then became a biennial series of statewide election surveys. The Survey Research Center was formally established in 1989 to continue the biennial Wyoming Election Survey and to take on other projects for state and local agencies throughout Wyoming. At the time, Wyoming’s federally recognized clearinghouse for research in criminal justice was a unit of the state’s Division of Criminal Investigation. Established in 1984, this unit ceased to function in 1994. In 2000, Executive Order #2000-5 by the governor of Wyoming created a research center at UW to fill the same role. The Wyoming Statistical Analysis Center, as it was called, merged with the Survey Research Center in 2004 to form WYSAC — the Wyoming Survey & Analysis Center. In 2006 WYSAC conducted its first nationwide survey of the general public, a federally funded policy study on which WYSAC researchers collaborated with UW faculty in economics, sociology, and statistics. Other national projects soon followed, along with a mix of surveys, evaluation research, and policy analyses for public and private clients in Wyoming and throughout the region (including state and local agencies in Colorado, Montana, North Dakota, and Washington). By 2007, when WYSAC moved into its permanent home in the UW Office Annex, the clientele also extended to each of Wyoming’s 23 counties, plus the Wind River Indian Reservation. In 2008, Executive Order #2008-3 affirmed WYSAC’s role as the state’s federally recognized center for research on criminal justice and related policy issues. The order also designated the Governor’s Substance Abuse and Violent Crime Advisory Board to provide WYSAC with guidance as to Wyoming’s needs for policy research.